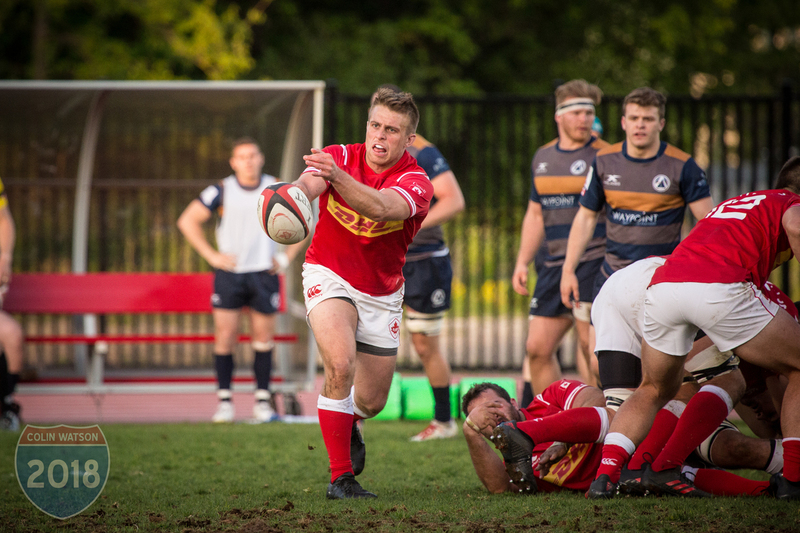 Langford, BC (May 30, 2018) – Canada’s Men’s Rugby Team head coach Kingsley Jones has named his 30-man squad for the upcoming 2018 Summer Series test matches against Scotland, Russia and USA. Canada’s all-time leading try scorer, DTH van der Merwe will captain the side with the experienced Tyler Ardron and Phil Mack acting as vice captains. “It gives me an opportunity to give Phil a break, which I think is important because he has a lot on his plate right now with being the Head Coach and starter on the Seattle Seawolves. I want to try out captains ahead of the World Cup and DTH is the obvious man at the moment. His commitment shown throughout the Americas Rugby Championship, despite being employed overseas in a professional club, makes him an obvious choice. He’ll be supported by Phil and Tyler and I look forward to working with DTH in that role, it’s a difficult one from the wing but there’s no doubt that he’ll get that support from Phil and Tyler who are close to the action on field,” said Jones. Jones has selected an experienced squad with only one uncapped player, UBC’s talented flyhalf, Theo Sauder, making the list. The squad consists of sixteen forwards and fourteen backs and a combined total of 526 caps between the 29 players with test experience. “(Theo) Sauder is someone that has been on my radar since I arrived; I’ve watched his club clips and went to watch some of his games. He has an amazing skill set, there’s nothing it seems he can’t do on the ball. He has tremendous pace and he’s a cheeky confident player, which is what you need in the positions he could end up playing. He’s a great option for us to have,” said Jones. “Selection has been really tough; we’ve had a few sleepless nights, but that is what you want as a coach. We need headaches; we need competition in every position. If we can have three first choice teams then we’re in a good place. We’re building depth; this tour is as much about building depth as winning and we need to have that balance of experience as well as some young guys who deserve the opportunity,” added the former Welsh international. Jones will be without the services of Connor Braid, Admir Cejvanovic and Andrew Coe – who are all in London with Canada’s Men’s Sevens Team – along with a number of well-known names in the Canadian depth chart, including Taylor Paris, Matt Evans, Conor Trainor, Ciaran Hearn, Matt Tierney and Kyle Baillie who are on the return-to-play protocols looking ahead to November. “The likes of the Beukebooms, Taylor Paris, Matt Evans, Conor Trainor, Matt Tierney etc. have all had disruptive seasons and been injured throughout the year. Some are only now just returning from injury. We need to be in a good position come November and to make sure as many of our players as possible are playing at the highest level they can and we feel that some of those players need a proper pre-season,” added Jones. “We often forget the importance of a proper pre-season and rest. We have a made a decision together with the players and their clubs that the best thing for them is to rest in June and partake in their team’s pre-season to get in great physical condition. Hopefully this will allow them to become first choices for their clubs. This will create real depth for November, while also rewarding the players that have put in a lot of work here in Langford with selection for the Summer Series,” he added. 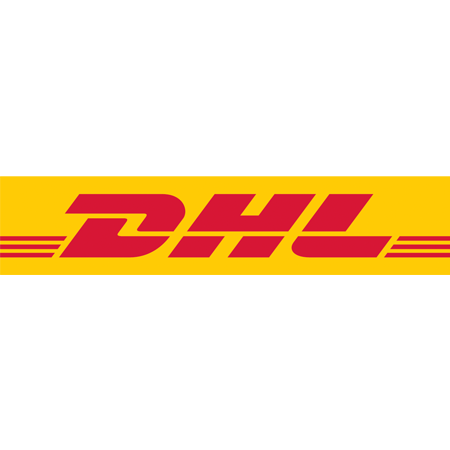 Jones has included 12 players from abroad who will bring necessary professional experience in key positions, including: Ardron (Chiefs), Ray Barkwill (Seattle Seawolves), Jeff Hassler (Ospreys), Josh Larsen (Otago), Jake Ilnicki (Yorkshire Carnegie), Mack (Seattle Seawolves), Shane O’Leary (Ealing Trailfinders), Eric Howard (NOLA Gold), Matt Heaton (Darlington Mowden Park), Evan Olmstead (formerly Newcastle Falcons), Djustice Sears-Duru (formerly Ealing Trailfinders) and van der Merwe (Glasgow Warriors). 17 members of Canada’s centralized program based of out of the Al Charron Rugby Canada Training Centre in Langford, BC have also been included in the roster. Canada open the June Internationals against 5th ranked Scotland on June 9 at the Commonwealth Stadium in Edmonton, AB. 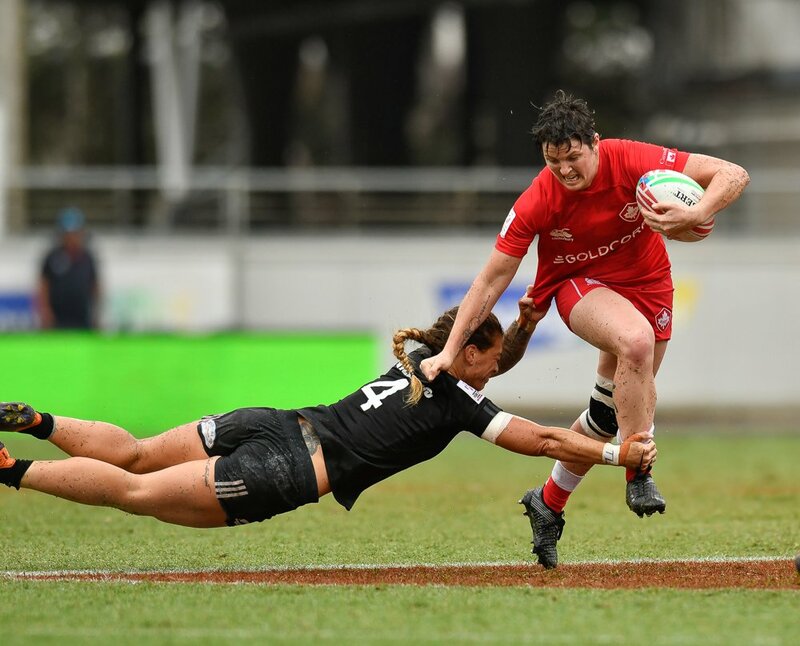 Following the match Canada will travel east to face 19th ranked Russia at Twin Elm Rugby Park in Ottawa on June 16th before closing out against 15th placed USA in Halifax on June 23. Canada is currently ranked 21st in World Rugby rankings. These test matches are crucial to developing talent, depth and team structure as Canada builds towards the crucial last-chance repechage for the 2019 Rugby World Cup in November (details TBC). Next Saturday will be the first time in two years that a tier one nation visits Canada and only the fifth time that Canada clash with Scotland in a full international. The previous meeting finished 19-17 in favour of Scotland in Toronto in 2014, while Canada’s sole victory came in Vancouver in 2002. “We’re really excited, I think that’s what we’re here for, that’s why I coach at this level and the players play at this level. The opportunity to play against one of the best teams in the world is a big challenge for us, they’re a well-coached team with some fantastic players and we’re looking forward to the challenge. We’re realistic about the challenge but we feel it’s sport and anything can happen, we need to keep that winning feeling and keep building,” added Jones.